Here's just a small sampling of the work and stories we've helped preserve over the years. The Cork Colony on the easterly shore of Merrymeeting Bay was "lost" during the 1722 raids of "Lovewell's War." Rebecca Graham, with Associate Professor, Dr. Barry Rodrigue of the University of Southern Maine Lewiston, have investigated the location and historic records of this Scots-Irish settlement. 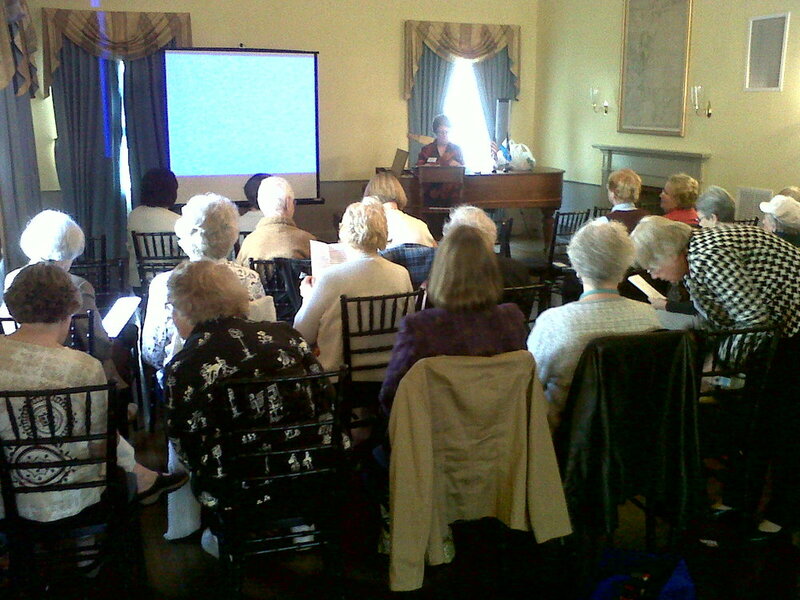 Pam Crane applied their settlement pattern research to the Somerset settlement and uncovered the McFadden site. The Maine Ulster Scots Project, under the leadership and supervision of Pamela Crane, historical archaeologist, with the help and co-operation of the McFadden family, are researching, investigating, and documenting this "first footprint" homestead of a 1718 Ulster-Scot family at the former Somersett Colony on the westerly shore of Merrymeeting Bay. Andrew McFadden, with his wife Jane Lindsey and family, carved their home from the forest and established themselves in a wood-frame home dug into a knoll upon their arrival in 1718, only to be burned out during the summer raids of Lovewell's War in 1722. Discovering and studying this unique site presents a rare opportunity to examine the transition from an Ulster environment and culture to life in America's "Eastern Frontier." We are pleased to be working with a group of dedicated volunteers, several of whom are descendants of those first 1718 Ulster pioneers. A lecture on some common and remarkable characters from Maine's pioneering Ulster-Scot families and their contributions to the conflict that defined America. A lecture/discussion on the long journey, historic events, and circumstances that brought the Scottish Diaspora from Scotland to the north of Ireland and finally to the District of Maine. A lecture/discussion on the collapsing settlements of Maine in the late 17th century and the resulting immigration policy that introduced Ulster-Scots families into the ongoing struggle for control of America's "Eastern Frontier." Stories of Maine's pioneering Scots-Irish families. A lecture/discussion of some famous and lesser known Maine Ulster Scot family stories that have been handed down through both oral tradition and primary documents. 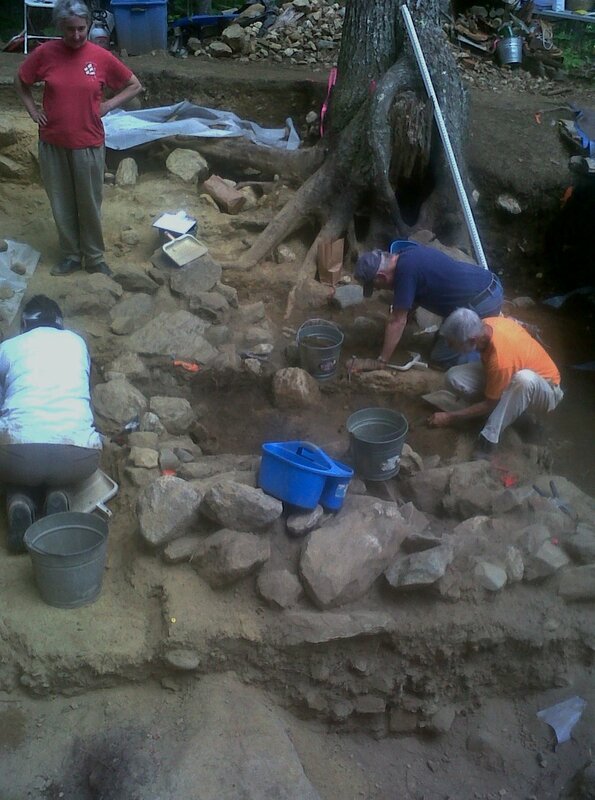 An archaeological investigation of the old "Cove Burying Ground" now commonly known as the Mann Cemetery. 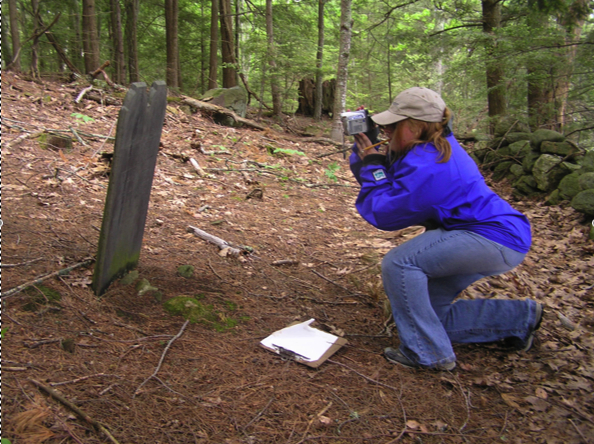 Located on the old "Man" family homestead in what is now the town of Freeport, Pamela Crane, historic archaeologist, leads an investigation into the location and history of a tightly knit Ulster-Scots' community burying ground. Located in the disputed territory during the "French and Indian War" period, and far removed from the center of their North Yarmouth township, these families took care of their own through the transition from a frontier environment, through the struggle for American Independence, and into the 21st century. Its story is only now becoming known to the larger community outside of the old "Dummer Claim" district. A report, lecture, and discussion regarding "One of Maine's Most Famous Tales." This report explores events which brought the Means family to Maine, their relationship with other Ulster-Scot families throughout the District, the location of their homestead, and the tragic events of 1756 which made their story famous. This popular power-point presentation explores documented and perceived cultural traits of both early New England Scots-Irish communities and Mainer's today. This always creates a lively discussion of individual family folkways from attendees. This power-point presentation focuses on events which resulted in the relocation of emigrants from the north of Ireland to colonial America's Eastern Frontier and their impact on Maine's development and character. In July, 1741, a group of 200 people from Northern Ireland left Derry bound for Philadelphia. Battered by hurricane, wrecked on a desolate island and abandoned by their captain, some had the strength and courage to survive through the winter. Based on 18th century documents and narratives, this is the story of their journey. The Grand Design can be presented as a fully staged production, a concert version, and as readers theater using our musicians and projections.